The Anything office scissors by Hay no longer need to be hidden away in the drawer or hung on a hook: Thanks to their funnel-shaped stand, the scissors can just be placed upright on your desk and always be at hand. 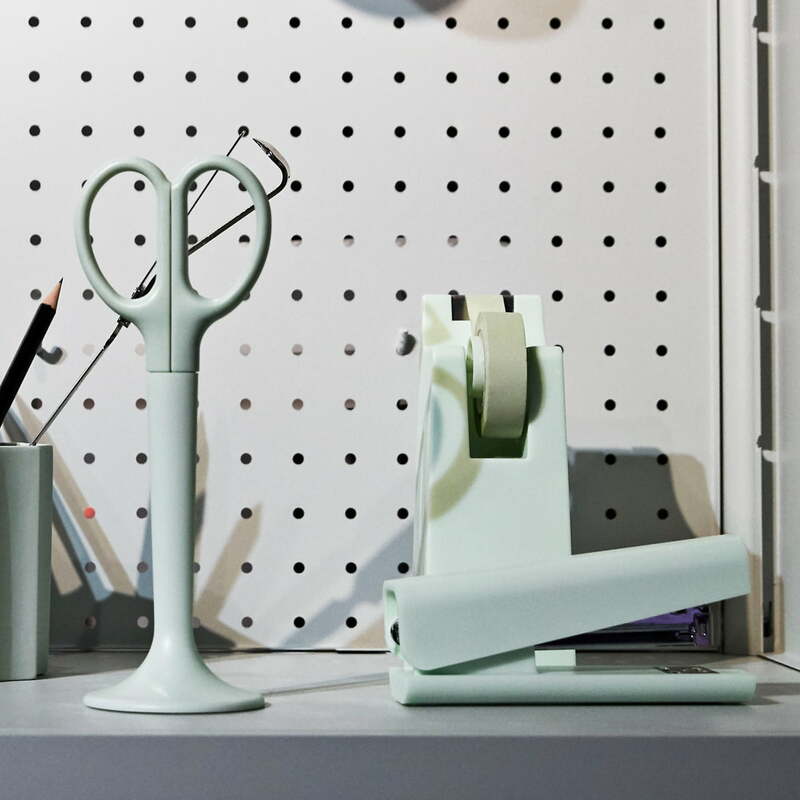 Available in friendly colours, the scissors enrich any workspace. For crafts, sewing or as a helper in the kitchen, the scissor designed by Michael Sodeau are suitable for various activities and can be kept anywhere thanks to the provided stand. Together with the matching tape dispenser, a perfect team is created for the desk. Isolated product image of the Hay - Anything office scissors in light grey. 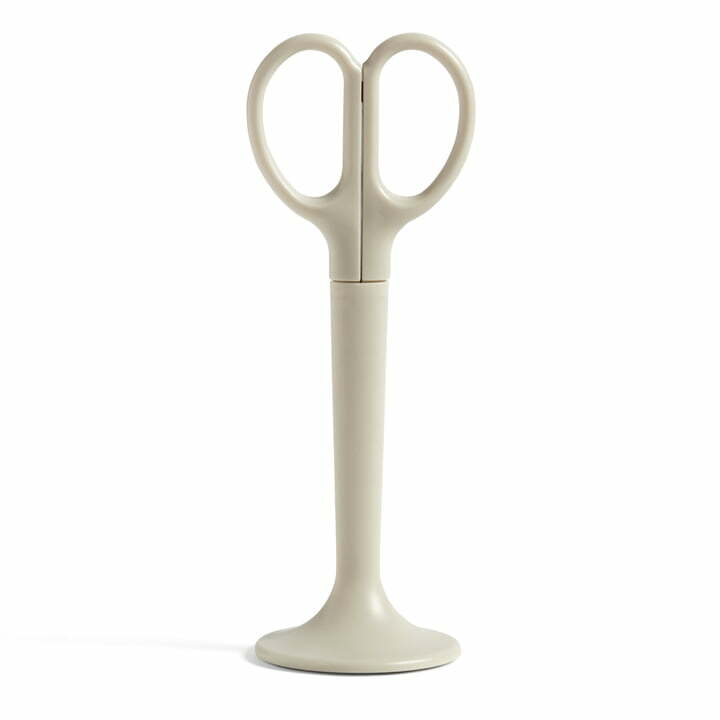 The Anything office scissors by Hay no longer need to be hidden away in the drawer or hung on a hook: Thanks to their funnel-shaped stand, the scissors can just be placed upright on your desk and always be at hand. Isolated product image of the Hay - Anything office scissors in warm yellow. The Anything office scissors by Hay no longer need to be hidden away in the drawer or hung on a hook: Thanks to their funnel-shaped stand, the scissors can just be placed upright on your desk and always be at hand. 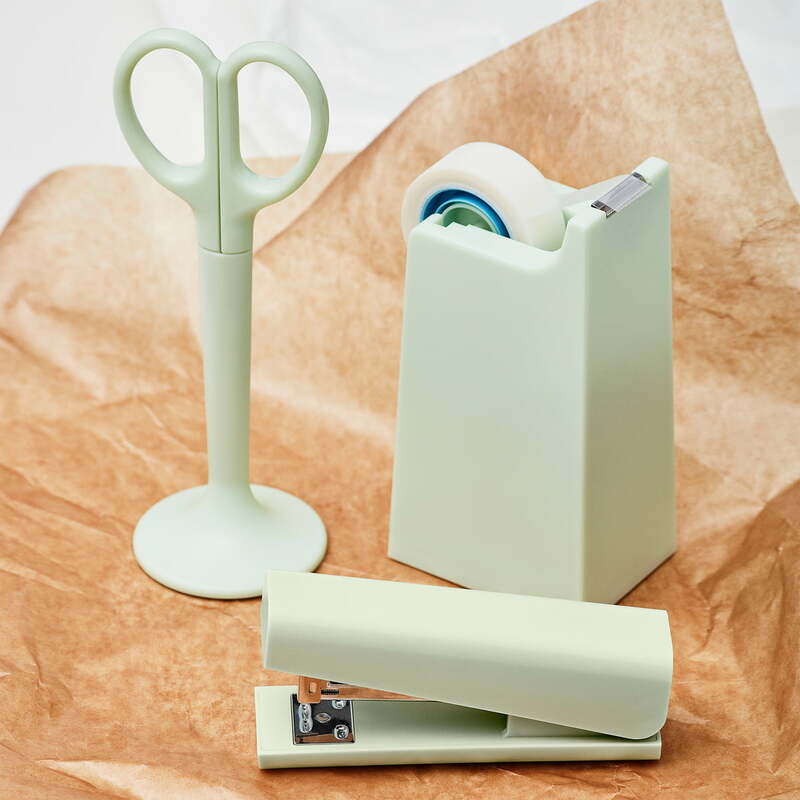 Lifestyle product image: The Hay - Anything Series in mint with the tape dispenser, office scissor and stapler. Things that are particularly useful when at work. The Hay - Anything Series in warm yellow with the tape dispenser, office scissor and stapler. Office products that are not only practical, but also impress with their design. 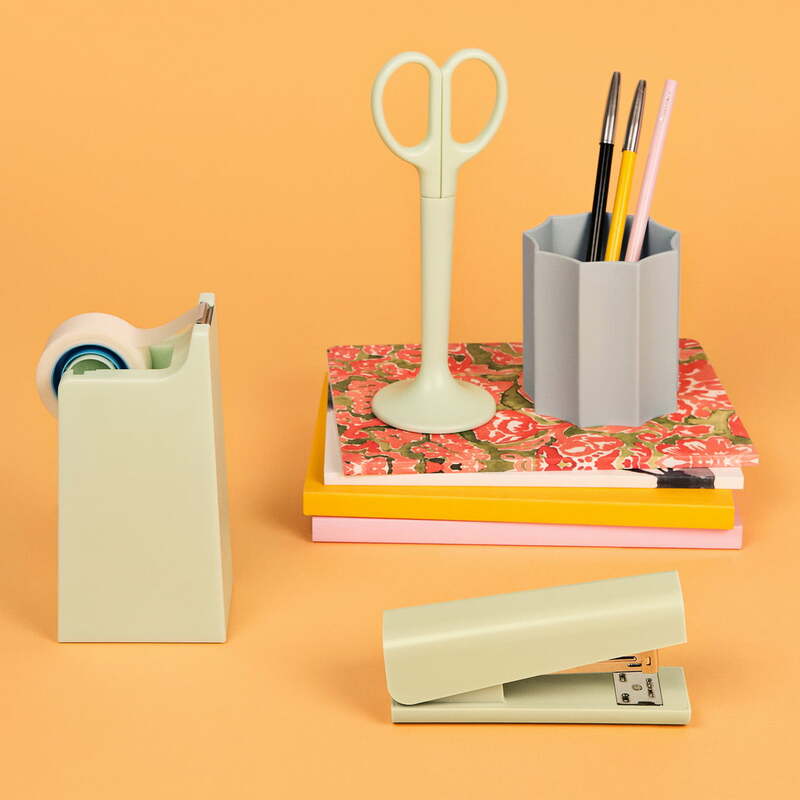 The Hay - Anything series with office scissors, tape dispenser and stapler - useful office tools, colour co-ordinated, that may be missing on any desk. Lifestyle product image of the Hay - Anything Series in mint with the tape dispenser, office scissor and stapler. 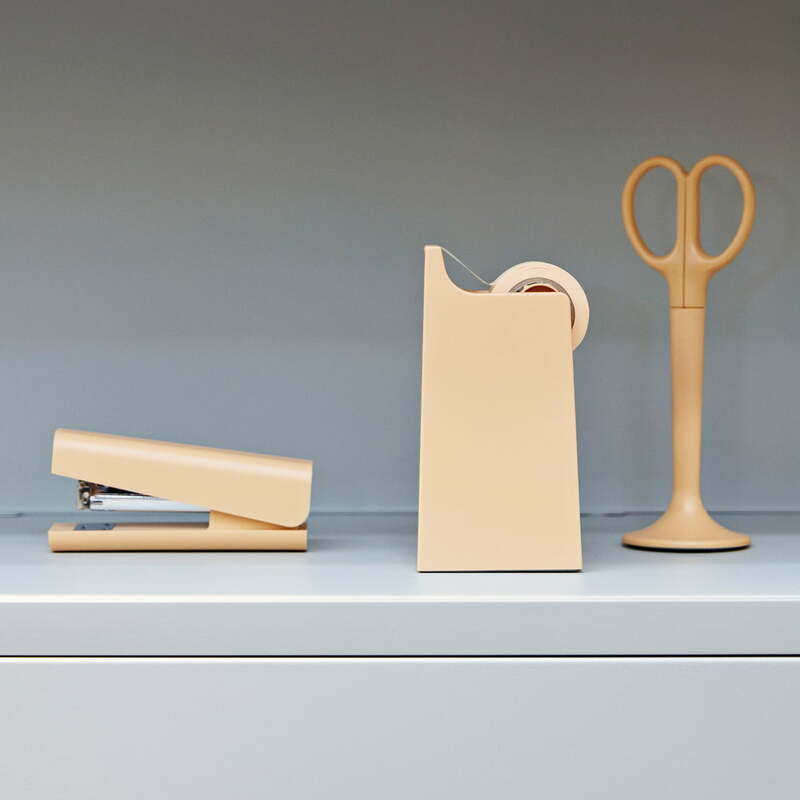 All necessary office equipment for the desk in soft colours.